Beverages can play a role in your weight loss efforts, with some adding calories to your daily totals and making weight loss more difficult, and some providing a calorie-free way to rehydrate. Even better, certain beverages, including oolong and other teas, may slightly increase weight loss, although the research is still in the preliminary stages. Consuming oolong tea for six weeks helped participants in a study published in the Chinese Journal of Integrative Medicine in February 2009 to decrease both their weight and their body fat. To get the most benefits, drink oolong tea instead of other higher-calorie beverages, increase the amount of exercise you do, and follow a balanced, reduced-calorie diet. Oolong tea isn't a weight-loss miracle beverage that will cause you to lose large amounts of weight on its own. The weight loss in the study amounted to just a few extra pounds for most participants over the course of the six-week study. The polyphenols in oolong tea are at least partially responsible for any potential weight-loss benefits. An animal study published in The Journal of Nutrition in September 2014 reported that the polyphenols from oolong, green or black tea helped increase weight loss and fat loss even in the presence of a high-sugar diet. One type of these polyphenols, called catechins, may help keep your metabolism from slowing down as you lose weight, according to a review article published in The American Journal of Clinical Nutrition in October 2013, making it slightly easier to keep losing weight and maintain that weight loss. The caffeine in oolong tea is likely just as important for increasing weight loss as the catechin content. A study published in The American Journal of Clinical Nutrition in November 2009 found that tea containing both catechins and caffeine resulted in more weight loss than consuming either catechins or caffeine alone. These two substances may work together to help increase your metabolism and the amount of fat you burn while helping to maintain lean body mass, according to a review article published in Physiology & Behavior in April 2010, so decaffeinated versions of oolong tea may not be as helpful for weight loss as regular oolong tea. Green tea is known for its high catechin content because it isn't fermented like black tea, which turns the catechins into another beneficial plant chemical called theaflavins. Oolong tea, on the other hand, is partially fermented, so it has an intermediate amount of these compounds. The caffeine content can vary between the types of tea, with green usually having the least and black containing the most. Because green tea also has more catechins, it may have more of an effect on weight loss than oolong tea, while black tea may have less of an effect on weight loss. You may be better off sticking with hot oolong tea if you're trying to lose weight, rather than using it to make iced tea. A study published in the European Journal of Nutrition in April 2013 revealed that drinking hot tea was associated with a lower body mass index and a smaller waist circumference, while those who drank a lot of iced tea were more likely to have higher BMIs and waist circumferences. 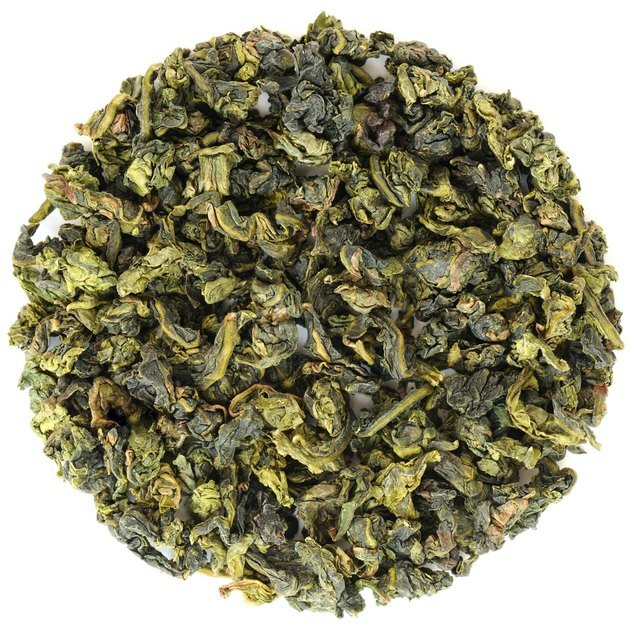 When making oolong tea, use lower temperatures and shorter steeping times to help preserve the beneficial catechins. A temperature of 194 degrees Fahrenheit with a steeping time of 3 minutes is better than using 212 degree, or boiling, water and a longer steeping time of 10 minutes, according to a study published in the International Journal of Molecular Sciences in December 2007. Can People Lose Weight by Drinking Iced Tea? Does Green Tea After Meals Help Lose Weight? Is Caffeine Bad for Weight Loss?